Diane is already late for work as she tries to coax three-year-old Joshua into his jacket so she can take him to daycare. After a too-quick breakfast and a battle over which shoes to wear, Joshua is tense too. He doesn't really care that his mom has a meeting in less than an hour. He wants to stay home and play, he tells her. When Diane tells him that's not possible, Joshua falls to the floor. Feeling sad and angry, he starts to cry. Seven-year-old Emily turns to her parents in tears just five minutes before the baby-sitter's arrival. "It's not fair to leave me with somebody I don't even know," she sobs. "But Emily," her dad explains, "this sitter is a good friend of your mother's. And besides, we've had tickets to this concert for weeks." "I still don't want you to go," she cries. Fourteen-year-old Matt tells his mom he just got kicked out of the school band because the teacher smelled somebody smoking pot on the bus. "I swear to God it wasn't me," Matt says. But the boy's grades have been falling and he's running with a new crowd. "I don't believe you, Matt," she says. "And until you bring your grades up, you're not going out." Hurt and furious, Matt flies out the door without a word. Three families. Three conflicts. Three kids at different stages of development. Still, these parents face the same problem -- how to deal with children when emotions run high. Like most parents, they want to treat their kids fairly, with patience and respect. They know the world presents children with many challenges, and they want to be there for their kids, lending insight and support. They want to teach their kids to handle problems effectively and to form strong, healthy relationships. But there's a big difference between wanting to do right by your kids and actually having the wherewithal to carry it off. That's because good parenting requires more than intellect. It touches a dimension of the personality that's been ignored in much of the advice dispensed to parents over the past thirty years. Good parenting involves emotion. In the last decade or so, science has discovered a tremendous amount about the role emotions play in our lives. Researchers have found that even more than IQ, your emotional awareness and ability to handle feelings will determine your success and happiness in all walks of life, including family relationships. For parents, this quality of "emotional intelligence" -- as many now call it -- means being aware of your children's feelings, and being able to empathize, soothe, and guide them. For children, who learn most lessons about emotion from their parents, it includes the ability to control impulses, delay gratification, motivate themselves, read other people's social cues, and cope with life's ups and downs. "Family life is our first school for emotional learning," writes Daniel Goleman, psychologist and author of Emotional Intelligence, a book that describes in rich detail the scientific research that has led to our growing understanding of this field. "In this intimate cauldron we learn how to feel about ourselves and how others will react to our feelings; how to think about these feelings and what choices we have in reacting; how to read and express hopes and fears. This emotional schooling operates not just through the things parents say and do directly to children, but also in the models they offer for handling their own feelings and those that pass between husband and wife. Some parents are gifted emotional teachers, others atrocious." What parental behaviors make the difference? As a research psychologist studying parent-child interactions, I have spent much of the past twenty years looking for the answer to this question. Working with research teams at the University of Illinois and the University of Washington, I have conducted in-depth research in two studies of 119 families, observing how parents and children react to one another in emotionally charged situations. We have been following these children from age four to adolescence. In addition, we are in the process of tracking 130 newlywed couples as they become parents of young infants. Our sties involve lengthy interviews with parents, talking about their marriages, their reactions to their children's emotional experiences, and their own awareness of the role emotion plays in their lives. We have tracked children's physiological responses during stressful parent-child interactions. We have carefully observed and analyzed parents' emotional reactions to their kids' anger and sadness. Then we have checked in with these families over time to see how their children developed in terms of health, academic achievement, emotional development, and social relationships. Our results tell a simple, yet compelling story. We have found that most parents fall into one of two broad categories: those who give their children guidance about the world of emotion and those who don't. I call the parents who get involved with their children's feelings "Emotion Coaches." Much like athletic coaches, they teach their children strategies to deal with life's ups and downs. They don't object to their children's displays of anger, sadness, or fear. Nor do they ignore them. Instead, they accept negative emotions as a fact of life and they use emotional moments as opportunities for teaching their kids important life lessons and building closer relationships with them. "When Jennifer is sad, it's a real important time for bonding between us," says Maria, the mother of a five-year-old in one of our studies. "I tell her that I want to talk to her, to know how she's feeling." Like many Emotion-Coaching parents in our studies, Jennifer's dad, Dan, sees his daughter's sad or angry moments as the time she needs him most. More than any other interaction he has with his daughter, soothing her "makes me feel like a dad," Dan says. "I have to be there for her...I have to tell her it's all right. That she'll survive this problem and probably have lots more." 3. Laissez-Faire parents, who accept their children's emotions and empathize with them, but fail to offer guidance or set limits on their children's behavior. To give you an idea of how differently Emotion-Coaching parents and their three noncoaching counterparts respond to their children, imagine Diane, whose little boy protested going to daycare, in each of these roles. If she was a Dismissing parent, she might tell him that his reluctance to go to daycare is "silly"; that there's no reason to feel sad about leaving the house. Then she might try to distract him from his sad thoughts, perhaps bribing him with a cookie or talking about fun activities his teacher has planned. As a Disapproving parent, Diane might scold Joshua for his refusal to cooperate, telling him she's tired of his bratty behavior, and threatening to spank him. As a Laissez-Faire parent, Diane might embrace Joshua in all his anger and sadness, empathize with him, tell him it's perfectly natural for him to want to stay home. But then she'd be at a loss for what to do next. She wouldn't want to scold, spank, or bribe her son, but staying home wouldn't be an option, either. Perhaps in the end, she'd cut a deal: I'll play a game with you for ten minutes -- then it's out the door with no crying. Until tomorrow morning, that is. Diane: Let's put on your jacket, Joshua. It's time to go. Joshua: No! I don't want to go to daycare. Diane: You don't want to go? Why not? Joshua: Because I want to stay here with you. Joshua: Yeah I want to stay home. Diane: Gosh, I think I know just how you feel. Some mornings I wish you and I could just curl up in a chair and look at books together instead of rushing out the door. But you know what? I made an important promise to the people at my office that I'd be there by nine o'clock and I can't break that promise. Joshua (starting to cry): But why not? It's not fair. I don't want to go. Diane: Come here, Josh. (Taking him onto her lap.) I'm sorry, honey, but we can't stay home. I'll bet that makes you feel disappointed doesn't it? Diane: And kind of sad? Diane: I feel kind of sad, too. (She lets him cry for a while and continues to hug him, letting him have his tears.) I know what we can do. Let's think about tomorrow, when we don't have to go to work and daycare. We'll be able to spend the whole day together. Can you think of anything special you'd like to do tomorrow? Joshua: Have pancakes and watch cartoons? Diane: Sure, that would be great. Anything else? Joshua: Can we take my wagon to the park? Joshua: Can Kyle come, too? Diane: Maybe. We'll have to ask his mom. But right now it's time to get going, okay? At first glance, the Emotion-Coaching parent may seem much like the Dismissing parent because both directed Joshua to think about something other than staying home. But there is an important distinction. As an Emotion Coach, Diane acknowledged her son's sadness, helped him to name it, allowed him to experience his feelings, and stayed with him while he cried. She didn't try to distract his attention away from his feelings. Nor did she scold him for feeling sad, as the Disapproving mother did. She let him know that she respects his feelings and thinks his wishes are valid. Unlike the Laissez-Faire mother, the Emotion-Coaching parent set limits. She took a few extra minutes to deal with Joshua's feelings, but she let him know that she wasn't going to be late for work and break her promise to her co-workers. Joshua was disappointed but it was a feeling both he and Diane could deal with. And once Joshua had a chance to identify, experience, and accept the emotion, Diane showed him it was possible to move beyond his sad feelings and look forward to fun the next day. 5. set limits while exploring strategies to solve the problem at hand. What difference does it make when children have Emotion-Coaching parents? By observing and analyzing in detail the words, actions, and emotional responses of families over time, as we have done in our studies, we have discovered a truly significant contrast. Children whose parents consistently practice Emotion Coaching have better physical health and score higher academically than children whose parents don't offer such guidance. These kids get along better with friends, have fewer behavior problems, and are less prone to acts of violence. Over all, children who are Emotion-Coached experience fewer negative feelings and more positive feelings. In short, they're more healthy emotionally. But here's the result I find most surprising: When mothers and fathers use a coaching style of parenting, their children become more resilient. The kids who are Emotion-Coached still get sad, angry, or scared under difficult circumstances, but they are better able to soothe themselves, bounce back from distress, and carry on with productive activities. In other words, they are more emotionally intelligent. Indeed, our research shows that Emotion Coaching can even protect kids from the proven harmful effects of an increasingly common crisis for American families -- marital conflict and divorce. With more than half of all marriages now ending in divorce, millions of children are at risk for problems many social scientists have linked to family dissolution. These problems include school failure, rejection by other children, depression, health challenges, and antisocial behavior. Such problems can also affect children from unhappy, conflict-ridden homes even when their parents don't divorce. Our own research shows that when a couple constantly fights, their conflict gets in the way of their child's ability to form friendships. We also found that marital conflict affects a child's schoolwork and increases the child's susceptibility to illness. We now know that a major result of the epidemic of ailing and dissolving marriages in our society is an increase in deviant and violent behavior among children and teenagers. But when the Emotion-Coaching parents in our studies experienced marital conflict, or were separated or divorced, something different happened. With the exception of the fact that these kids were generally "sadder" than the other children in our study, Emotion Coaching seemed to shield them from the deleterious effects suffered by so many who have this experience. Previously proven effects of divorce and marital conflict, such as academic failure, aggression, and problems with peers, did not show up in the Emotion-Coached kids; all of which suggests that Emotion Coaching offers children the first proven buffer against the emotional trauma of divorce. While such findings are obviously relevant for families who are currently struggling with marital problems and the aftermath of divorce, we expect that further research will reveal that Emotion Coaching can buffer children against a whole host of other conflicts, losses, and heartaches as well. At a time when an alarming 28 percent of American children are growing up in mother-only households, the significance of a father's presence in a child's life cannot be overlooked. We shouldn't assume, however, that any father is better than no father. An emotionally present dad can be a tremendous benefit in a child's life, but a cold and cruel father can do great harm. While our research shows that Emotion-Coaching parents can help their kids develop into healthier, more successful adults, the technique is by no means a cure for serious family problems that require the help of a professional therapist. And unlike proponents of many other parenting theories, I will not promise that Emotion Coaching is a panacea for all the normal problems of family life. Practicing Emotion Coaching does not mean all family arguments will cease, that there will be no more harsh words, no more bruised feelings, no more sadness or stress. Conflict is a fact of family life. Still, once you start using Emotion Coaching, you will probably feel yourself growing closer to your children. And when your family shares a deeper intimacy and respect, problems between family members will seem lighter to bear. And finally, Emotion Coaching does not mean an end to discipline. Indeed, when you and your children are emotionally close, you are even more invested in their lives and can therefore assert a stronger influence. You're in a position to be tough when toughness is called for. When you see your children making mistakes or slacking off, you call them on it. You're not afraid to set limits. You're not afraid to tell them when they've disappointed you, when you know they can do better. And because you have an emotional bond with your children, your words matter. They care about what you think and they don't want to displease you. In this way, Emotion Coaching may help you guide and motivate your kids. Emotion Coaching requires a significant amount of commitment and patience, but the job is essentially the same as that of any other coach. If you want to see your kid excel at baseball, you don't avoid the game; you get out in the yard and start working with him. Likewise, if you want to see your child handle feelings, cope with stress, and develop healthy relationships, you don't shut down or ignore expressions of negative emotion; you engage with your child and offer guidance. While grandparents, teachers, and other adults can serve as Emotion Coaches in a child's life, as a parent, you're in the best spot for the job. After all, you're the one who knows what rules you want your child to play by. And you're the one who's going to be there when life gets tough. Whether the challenge is infant colic, potty training, sibling warfare, or broken prom dates, your child looks to you for signals. So you might as well put on the coach's cap and help your child win the game. There's little doubt that parents today face challenges those of previous generations did not. While parents in the 1960s may have fretted about alcohol on graduation night, today's parents worry daily about cocaine sales at middle school. Yesterday's parents worried that their teenage daughters might turn up pregnant; today's parents are teaching their fifth-graders about AIDS. A generation ago, turf battles between rival youth gangs erupted only in tough, urban areas and ended with fistfights or an occasional stabbing. Today, youth gangs spring up even in middle-class neighborhoods. And with the proliferation of the drug trade and firearms, gang fights often end in fatal shoot-outs. Violent crimes against young people have been rising at an alarming rate. Between 1985 and 1990, homicide rates among fifteen- to nineteen-year-old youths rose 130 percent in nonwhite males, 75 percent in white males, and 30 percent in females of all races. At the same time, young American males have been committing more violent crimes at younger ages than ever before. From 1965 to 1991, the juvenile arrest rate for violent crime more than tripled. Between 1982 and 1991, the number of juveniles arrested for murder increased 93 percent, and for aggravated assault, 72 percent. Parents have to do more today than provide kids with basic nurturing, a good education, and a strong moral ethic. Today's families must also concern themselves with some of the most basic survival issues. How can we immunize our children from an epidemic of violence that is infesting youth culture in our country? How can we persuade them to postpone sexual activity until they are mature enough to make responsible, safe choices? How can we infuse them with enough self-regard that they steer clear of drug and alcohol abuse? Over the years, social scientists have proven that children are drawn into antisocial, delinquent behavior as a result of problems in their family environment -- problems like marital conflict, divorce, the physical or emotional absence of a father, domestic violence, poor parenting, neglect, abuse, and poverty. The solutions, then, should be to build better marriages and see that parents have the economic and social support they need to take good care of their children. The problem is, our society appears to be headed in the opposite direction. In 1950, only 4 percent of new mothers were unmarried; today some 30 percent are. While most of today's unmarried mothers eventually wed, a high divorce rate -- now more than half of all new marriages -- keeps the number of mother-only households high. Right now, it's around 28 percent, with about half of these families living in poverty. Many children from divorced families lack the financial or emotional support they need from fathers. Figures from the 1989 U.S. Census show that just over half the mothers entitled to child support receive the full amount; a quarter received partial payment, and a fifth received nothing at all. One study of children from disrupted families found that two years after a divorce, a majority of children had not seen their fathers for a year. Remarriage, if it happens, brings its own problems. Divorce is more common in second marriages than in first marriages. And while studies show that stepfathers often bring a more reliable income, the relationship often brings more stress, confusion, and sadness into a child's life. Child abuse occurs more frequently in stepfamilies than in natural families. According to one Canadian study, preschool children in stepfamilies are forty times more likely than those who live with biological parents to suffer physical and sexual abuse. Children in emotional pain don't leave their problems at the schoolhouse door. As a result, schools nationwide have reported dramatic increases in behavior problems over the past decade. Our public schools -- many already drained from antitax initiatives -- are being called upon to provide an increasing number of social services for children whose emotional needs are not met at home. In essence, schools are becoming emotional buffering zones for the growing number of children hurt by divorce, poverty, and neglect. Consequently, there are fewer resources available to fund basic education, a trend that's reflected in declining academic scores. In addition, families of all kinds are stressed by changes that have occurred in the workforce and the economy over the past few decades. Effective income has been eroded over the past two decades, which means that many families need double paychecks to stay afloat. More women have entered the paid workforce. And for many couples, the power shift that happens as the male partner loses his role as the sole breadwinner brings added stresses. At the same time, employers are demanding more of workers' time. According to Harvard economics professor Juliet Schor, the typical American family now works one thousand more hours each year than it did twenty-five years ago. One survey showed that Americans have a third less free time than they did in the 1970s. As a result, people say they are spending less time on basics like sleeping, eating, and playing with their kids. Between 1960 and 1986, the time parents had available to spend with their children fell by more than ten hours a week. Short on time, Americans are participating less in community and religious activities that uphold the family structure. And as our society becomes more mobile, moving from city to city for economic reasons, an increasing number of families live without the support of nearby family and lifelong friends. The net effect of all these social changes is that our children face increased risks to their health and well-being. Meanwhile, the support systems that aid families in protecting kids are getting weaker. Still, as this book shows, we as parents are far from helpless. My research tells me that the answer to keeping our children safe from many risks lies in building stronger emotional bonds with them, thus helping them to develop a higher level of emotional intelligence. Evidence is mounting that kids who can feel their parents' love and support are better protected from the threats of youth violence, antisocial behavior, drug addiction, premature sexual activity, adolescent suicide, and other social ills. Studies reveal that children who feel respected and valued in their families do better in school, have more friendships, and live healthier, more successful lives. Now, with more in-depth research into the dynamics of families' emotional relationships, we are beginning to understand how this buffering effect happens. As part of our research into the emotional lives of families, we ask parents to tell us about their responses to their preschoolers' negative feelings. Like many fathers, Mike tells us that he finds his four-year-old daughter, Becky, comical when she's angry. "She says, 'Gosh darn it!' And then she walks away like some little midget human," he says. "It's lust so funny!" And indeed, on at least one level, the contrast of this tiny girl expressing such a big emotion would make many people smile. But just imagine for a moment what would happen if Mike reacted this way to his wife's anger. Or, what if Mike's boss responded to him this way when he was mad? It probably wouldn't amuse Mike at all. Yet, many adults think nothing of laughing in the face of a raging preschooler. Many well-meaning parents dismiss children's fears and upsets as though they didn't matter. "There's nothing to be afraid of," we tell a five-year-old who wakes up crying from a nightmare. "Then you obviously didn't see what I saw," might be an appropriate reply. Instead, the child in such situations begins to accept the adult's estimation of the event and learns to doubt her own judgment. With adults constantly invalidating her feelings, she loses confidence in herself. Thus, we have inherited a tradition of discounting children's feelings simply because children are smaller, less rational, less experienced, and less powerful than the adults around them. Taking children's emotions seriously requires empathy, keen listening skills, and a willingness to see things from their perspective. It also takes a certain selflessness. Behavioral psychologists have observed that preschoolers typically demand that their caretakers deal with some kind of need or desire at an average rate of three times a minute. Under ideal circumstances, a mom or dad might respond cheerfully. But when a parent is stressed or otherwise distracted, a child's incessant, and sometimes irrational demands can drive that parent wild. And so it has been for centuries. While I believe parents have always loved their children, historical evidence shows that, unfortunately, past generations did not necessarily recognize the need for patience, restraint, and kindness in dealing with kids. Psychiatrist Lloyd deMause, in his 1974 essay "The Evolution of Childhood," paints a horrifying picture of neglect and cruelty that children of the Western world have endured through the ages. His work shows, however, that throughout the nineteenth and early twentieth centuries, the plight of children gradually improved. With each generation, parents generally became better than the last at meeting the physical, psychological, and emotional needs of children. As deMause describes it, raising a child "became less a process of conquering a child's will than training it, guiding it into proper paths, teaching it to conform, and socializing it." Although Sigmund Freud would promote theories in the early 1900s that children were highly sexualized, aggressive creatures, observational research later in the century would prove otherwise. Social psychologist Lois Murphy, for example, who conducted extensive observations and experiments with toddlers and preschoolers in the 1930s, showed that most small children are, by nature, primarily altruistic and empathetic toward one another, particularly toward another child in distress. With this growing belief in the intrinsic goodness of children, our society has been evolving since mid-century into another new era of parenting, one that deMause described as "the helping mode." It is a period in which many parents are letting go of strict, authoritarian models by which they themselves may have been raised. Instead, more parents now believe their role is to assist children to develop according to their own interests, needs, and desires. To do this, parents are adopting what psychological theorist Diana Baumrind first referred to as an "authoritative" style of parenting. While authoritarian parents characteristically impose many limits and expect strict obedience without giving children explanations, authoritative parents set limits but are considerably more flexible, providing their children with explanations and lots of warmth. Baumrind also describes a third style of parenting she calls permissive, whereby parents are warm and communicative toward their children, but exert few limits on behavior. In studies of preschool children in the 1970s, Baumrind found that children of authoritarian parents tended to be conflicted and irritable, while children of permissive parents were often impulsive, aggressive, low in self-reliance, and low in achievement. But children of authoritative parents were most consistently cooperative, self-reliant, energetic, friendly, and achievement-oriented. Movement toward this less authoritarian, more responsive mode of parenting has been fueled by tremendous growth in our understanding of child psychology and the social behavior of families in the past twenty-five years. Social scientists have discovered, for example, that infants have an amazing ability to learn social and emotional cues from their parents, beginning at birth. We now know that when caregivers respond sensitively to babies' cues -- engaging in eye contact, taking turns at "baby talk," and allowing babies to rest when they seem overstimulated -- the babies learn early how to regulate their own emotions. These babies still get excited when that's called for, but they are able to calm themselves down afterward. Studies have also shown that when infants have caretakers who don't pay attention to these cues -- say, a depressed mom who doesn't talk to her baby, or an anxious dad who plays with the baby too hard and too long -- the baby doesn't develop the same knack for regulating his emotions. The baby may not learn that babbling gets attention, so he becomes quiet and passive, socially disengaged. Or, because he's constantly stimulated, he may not get the chance to learn that sucking his thumb and stroking his blanket are good ways to calm down. Learning to calm down and focus attention become increasingly important as the baby matures. For one, these skills allow a child to be attentive to social cues from parents, caregivers, and others in their environment. Learning to be calm also helps the child to concentrate in learning situations and to focus on the achievement of specific tasks. And, as a child grows, it's extremely helpful for learning how to share toys, pretend, and otherwise get along with playmates. Eventually, this so-called self-regulation skill can make a big difference in a child's ability to enter new play groups, make new friends, and handle rejection when peers turn away. Awareness of this link between parents' responsiveness and children's emotional intelligence has grown in the past two or three decades. Countless books have been written for parents telling them how crucial it is that they provide distressed infants with affection and comfort. Parents are urged to practice positive forms of discipline as their children grow; to praise their kids more than they criticize them; to reward rather than punish; to encourage rather than discourage. Such theories have taken us a long way, thankfully, from the days when parents were told that sparing the rod would spoil the child. We now know that kindness, warmth, optimism, and patience are far better tools than the hickory stick for raising well-behaved, emotionally healthy children. And yet, I believe we can go even further in this evolutionary process. Through our work in family psychology labs, we can now see and measure the benefits of healthy emotional communication between parent and child. We are beginning to understand that parents' interactions with their infants can affect children's nervous systems and emotional health throughout life. We now know that the strength of a couple's marriage affects the well-being of their children and we can see tremendous potential when fathers become more emotionally involved with their children. And finally, we are able to document that parents' awareness of their own feelings is at the heart of improving children's emotional intelligence as well. Our program of Emotion Coaching -- outlined in detail in Chapter 3 -- is our blueprint for parenting based on this research. Much of today's popular literature on parenting seems to sidestep the dimension of emotional intelligence, but it was not always so. That's why I must acknowledge an influential psychologist, teacher, and author who has contributed much to our understanding of the emotional lives of families. 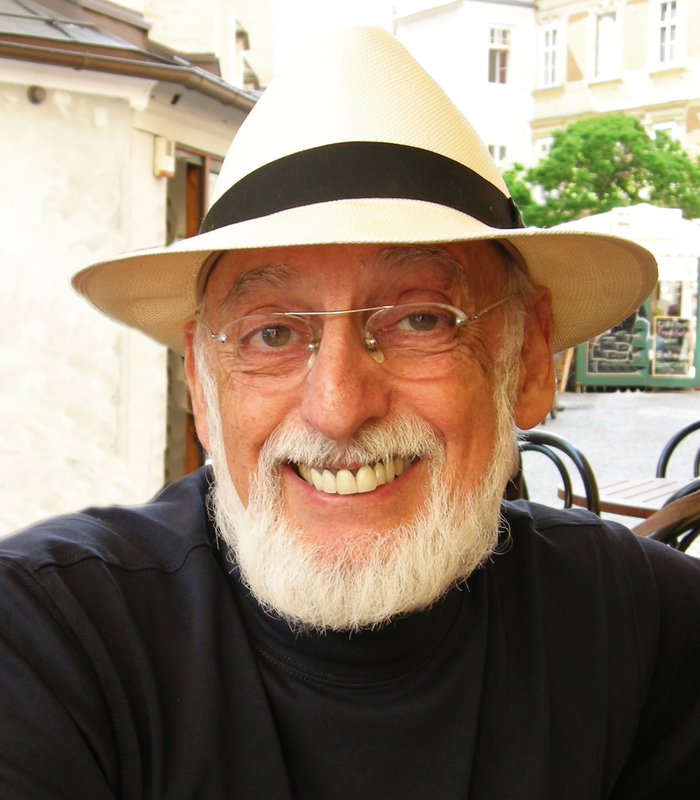 He is Haim Ginott, who wrote three popular books in the 1960s, including Between Parent and Child, before his premature death from cancer in 1973. Writing long before the words "emotional" and "intelligence" were ever fused, Ginott believed that one of our most important responsibilities as parents is to listen to our children, hearing not only their words, but the feelings behind their words. He also taught that communication about emotions can serve as a way for parents to teach their children values. But for this to happen, parents must show genuine respect for their children's feelings, Ginott taught. They must attempt to empathize with their kids -- that is, feel what their children are feeling. Communication between parent and child must always preserve both parties' self-respect. Statements of understanding should precede statements of advice. Ginott discouraged parents from telling children what they ought to feel, because that simply makes children distrust their feelings. He said kids' emotions do not disappear when parents say, "Don't feel that way," or when parents tell kids there is no justification for their emotions. Ginott believed that while not all behavior is acceptable, all feelings and wishes are acceptable. Therefore, parents should set limits on acts, but not emotions and desires. Unlike many parent educators, Ginott did not disapprove of getting angry with children. Indeed, he believed that parents should honestly express their anger, provided that it is directed at a specific problem and does not attack the child's personality or character. Used judiciously, he believed parental anger can be part of a system of effective discipline. Ginott's regard for emotional communication with children has been an important influence for others, including Adele Faber and Elaine Mazlish, who were his students and who wrote important, practical books for parents based on his work, including Liberated Parents/Liberated Children, Siblings Without Rivalry, How to Talk so Kids Will Listen and Listen so Kids Will Talk, and How to Talk so Kids Can Learn. Despite these contributions, however, Ginott's theories had never been proven using empirically sound, scientific methods. But I am proud to say that with the help of my research associates, I can provide the first quantifiable evidence to suggest that Ginott's ideas were essentially correct. Empathy not only matters; it is the foundation of effective parenting. We began our studies in 1986 with fifty-six married couples in Champaign, Illinois. Each couple had a child age four or five at the time. Members of our research team spent fourteen hours with each family, administering questionnaires, conducting interviews, and observing behavior. We gathered a rich, deep pool of information about each couple's marriage, their children's peer relationships, and the family's ideas about emotion. In one audiotaped session, for example, couples talked about their experiences with negative emotion, their philosophies of emotional expression and control, and their feelings about their children's anger and sadness. These interviews were then coded for the parents' awareness and regulation of emotions, and their ability to recognize and coach their children's negative feelings. We determined whether or not these parents showed respect for their children's feelings, and how they talked to their kids about emotions when the kids were upset. Did they try to teach their children rules for appropriate expression of emotion? Did they share strategies children can use to soothe themselves? To get information about the children's social competence, audiotapes were made of each child during a thirty-minute play period at home with a best friend. Researchers coded these interactions for the amount of negative emotion the child expressed during the session as well as the overall quality of the child's play. In another audiotaped interview, each couple spent up to three hours answering open-ended questions about the history of their marriage. How did they meet? What was their dating period like? How did they decide to get married? How had their relationship changed over the years? Couples were encouraged to talk about their philosophy of marriage and what it takes to make marriage work. These tapes were then coded for several factors including how much fondness or negativity the couple expressed toward each other, how much they talked in terms of togetherness or separateness, and how much they glorified the struggles they've faced together. While such interviews and observations are important to our understanding of these families, the unique aspects of our research involved collecting data about the participants' physiological responses to emotion. Our aim was to measure the way our participants' autonomic, or involuntary, nervous systems responded to emotion. For example, we asked each family to collect urine samples from their children over a twenty-four-hour period of time. These samples were then analyzed for traces of stress-related hormones. Other measures of the autonomic nervous system were taken in our labs where we could monitor participants' heart rates, respiration, blood flow, motor activity, and how much their hands sweat. Studying these physiological processes and observing families provides more objective data than relying solely on questionnaires, interviews, and observation. It's difficult, for obvious reasons, to get parents to honestly answer questions like, "How often do you harshly criticize your child?" And even when social scientists observe their subjects' habits using "candid camera" methods such as two-way mirrors, it's hard to determine how much one person's behavior touches another's feelings. Keeping track of autonomic responses to stress is much easier. Stethoscope-like electrodes hooked up to the chest can monitor heart rate; electrodes can also track how much hands sweat by measuring the electricity conducted via salt in perspiration. Such technology is considered reliable. Indeed, law enforcement officials routinely use it to conduct lie detector tests. Police have an advantage over family researchers, however -- their study subjects can be intimidated into sitting still. Working with four- and five-year-olds requires craftier measures. That's why we built a mock space capsule for children participating in one of our major experiments. The kids donned space suits and crawled inside the contraption, where they were hooked up to various electrodes so we could measure their physiological responses to activities designed to elicit emotion. We showed them film clips like the flying monkey scene from The Wizard of Oz, for example. We also invited their parents to stand nearby and teach their children a new video game. Having such captive participants allowed us to record the research sessions on videotape so we could systematically observe and code each family member's words, actions, and facial expressions, considering factors such as content of the spoken word, tone of voice, and gesture. We used this same type of monitoring equipment (minus the space motif) for another set of sessions that measured the physiological and behavioral responses of the children's parents as they discussed high-conflict topics like money, religion, in-laws, and child-rearing. These marital interaction sessions were coded for both positive expressions (humor, affection, validation, interest, joy) and negative expressions (anger, disgust, contempt, sadness, stonewalling). To find out how different styles of parenting serve children over time, we revisited the families from our 1986 study three years later. We were able to reach 95 percent of the study participants at a time when their children were seven to eight years old. Once again, we audiotaped a play session between each child and his or her best friend. Teachers were asked to complete questionnaires regarding the children's levels of aggression, withdrawal, and social competence in the classroom. In addition, teachers and mothers filled out surveys regarding the children's academic performance and behavior. Each mother provided information about her child's health, as well as monitoring and reporting the total number of negative emotions expressed by her child over the course of one week. We gathered information about the couples' marriages as well. Parents told us in telephone interviews whether they had separated or divorced during the intervening three-year period or seriously considered separation or divorce. In individually administered questionnaires, each parent also told us about his or her current satisfaction with the marriage. Results of this follow-up study showed us that, indeed, children with Emotion-Coaching parents were better off in areas of academic performance, social competence, emotional well-being, and physical health. Even controlling for IQ, their math and reading scores were better. They were getting along better with their friends, they had stronger social skills, and their mothers reported these children had fewer negative and more positive emotions. Several measures also indicated that the Emotion-Coached kids were experiencing less stress in their lives. For example, they had lower levels of stress-related hormones in their urine. They had a lower resting heart rate. And, according to their mothers' reports, they were getting fewer infectious illnesses, such as colds and flu. Many of the positive outcomes we found in these emotionally intelligent, Emotion-Coached children at age seven and eight are the result of a characteristic we refer to as "high vagal tone." The term comes from the vagus nerve, which is a large nerve originating in the brain and supplying impulses for functions throughout the upper body such as heart rate, respiration, and digestion. The vagus nerve is responsible for many functions of the parasympathetic branch of the autonomic nervous system. While the sympathetic branch accelerates functions such as heart rate and breathing when a person is under stress, the parasympathetic branch acts as a regulator, putting the brakes on these involuntary functions, keeping the body from speeding its systems out of control. We use the term "vagal tone" to describe a person's ability to regulate the involuntary physiological processes of the autonomic nervous system. Just as kids with good muscle tone excel at sports, kids with high vagal tone excel at responding to and recovering from emotional stress. The heart rates of such autonomic athletes will temporarily accelerate in response to some alarm or excitement, for example. But as soon as the emergency is over, their bodies are able to recover quickly. These children are good at soothing themselves, focusing their attention, and inhibiting action when that's what's called for. First-graders with high vagal tone would have no problem during a fire drill, for instance. They'd be able drop everything and get out of the school in an orderly, efficient manner. Once the fire drill was over, these kids would be able to settle down and focus on their math lessons in fairly short order. Kids with low vagal tone, on the other hand, would be more likely to get confused during the drill. ("What? Leave now? It's not even time for recess.") Then, upon returning to the classroom, they'd have a hard time getting over all the excitement and getting back to work. In our video game experiment, kids with Emotion-Coaching parents demonstrated that they were indeed the autonomic athletes in our sample. When compared to kids whose parents were not Emotion Coaching, they showed more physiological responsiveness to stress, followed by quicker recovery. Ironically, the events that usually induced stress in these kids were criticism or mockery from their fathers, behavior that doesn't happen that often in these Emotion-Coaching families. Perhaps that's why the children reacted so strongly. Still, the Emotion-Coached kids recovered from stress more quickly than others in our sample, despite the fact that they had much stronger physiological responses to stress in the first place. This ability to respond and bounce back from stress can serve kids well throughout childhood and beyond. It's a dimension of emotional intelligence that allows them to focus their attention and concentrate on schoolwork. And because it gives kids the emotional responsiveness and self-control needed to relate to other children, it's also useful in forming and maintaining friendships. Kids with high vagal tone are quick on the uptake, noticing and reacting to emotional cues from other kids. They can also control their own negative responses in high-conflict situations. These qualities were evident in one of the thirty-minute play sessions we recorded between two four-year-olds as part of our research. The two children -- a boy and a girl -- got into an argument because the boy wanted to play Superman and the girl wanted to play house. After shouting their wishes back and forth a few times, however, the boy calmed down and suggested a simple compromise: They would pretend they were at Superman's house. The girl thought this was a great idea and the two moved forward to enjoy a creative period of pretend play for the next half hour. Such creative compromise between two four-year-olds takes a lot of social skill, including the ability to listen to each other, to empathize with each other's position, and to solve problems together. But what children learn from Emotion Coaching goes far beyond such social skills to encompass a broader definition of emotional intelligence. This is demonstrated later in middle childhood (ages eight to twelve), when peer acceptance is often measured by a child's ability to be "cool" and emotionally unflappable among friends. Psychologists have observed that expressing feelings, as parents and children do in Emotion Coaching, can actually be a social liability for children in this age group. What matters instead is the child's ability to observe, to pick up on social cues that will allow the child to assimilate without drawing too much attention to himself. What we found in our research was that children who are Emotion-Coached in early childhood do indeed develop this sort of social skill later on, which helps them to be accepted by peers and form friendships. Children's emotional intelligence is determined to some degree by temperament -- that is, the personality traits with which a child is born -- but it's also shaped by the child's interactions with his parents. This influence begins in the earliest days of infancy, when a child's immature nervous system is being formed. The experience children have with emotion while their parasympathetic nervous systems are still under construction may play a big part in the development of their vagal tone -- and consequently their emotional well-being -- later in life. Parents have a tremendous opportunity, therefore, to influence their kids' emotional intelligence by helping them learn self-soothing behaviors from infancy on. As helpless as babies are, they can learn from our response to their discomfort that emotion has a direction; that it is possible to go from feelings of intense distress, anger, and fear, to feelings of comfort and recovery. Babies whose emotional needs are neglected, on the other hand, don't get the chance to learn this lesson. When they cry out of fear, sadness, or anger, they experience only more fear, more sadness, more anger. As a result, they may become passive and nonexpressive much of the time. But when they do get upset, they lack any sense of control. They've never had a guide to take them from distress to comfort, so they can't self-soothe. Instead, they experience negative emotion as a black hole of anxiety and fear. It's interesting to watch small children who have had emotional guidance gradually begin to incorporate their caretakers' soothing responses into their own behavior. Perhaps you've seen it in your own children's play. Whether they are pretending with a real live playmate, a doll, or an action figure, kids often fantasize situations where one character is scared and the other takes on the role of soother, comforter, or hero. Such play gives them experience they can call upon when they are alone and upset; it helps them establish and practice patterns for regulating emotion and calming down. It helps them to respond to one another in an emotionally intelligent way. 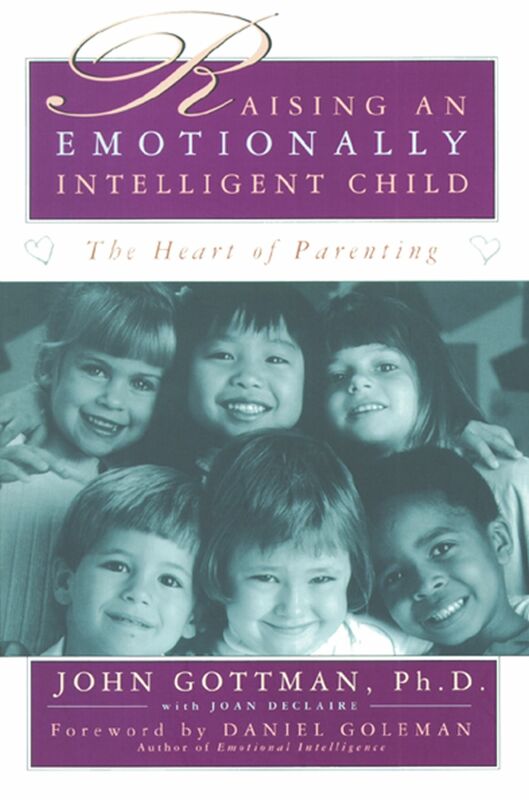 The first step parents can take toward raising emotionally intelligent children is to understand their own style of dealing with emotion and how that affects their kids. This is the subject of Chapter 2.